Some of the proposed programs include art classes, education, health promotion and sports club. ICV volunteer Wendy was invited to assist in developing a set of rules and regulations for the use of the building and develop structures for the programs. The Aputula Aboriginal Achievers Club has the potential to change lives. The entire community has the opportunity to build a unique and thriving community hub and a place of safety. 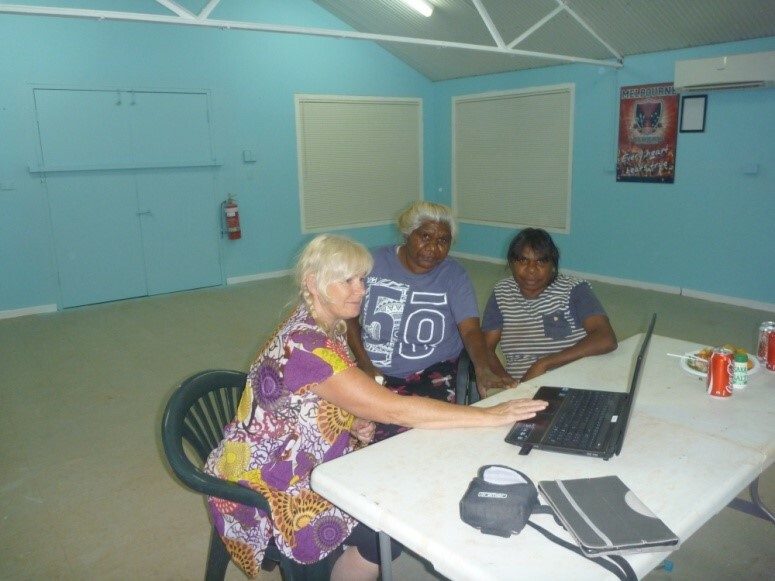 The club rooms provide a space for learning new skills by providing access to the internet, which can help bridge the social gap that many remote communities face. It will be a place to proudly display new art and craft projects created through workshops and classes, as well as a gathering/meeting place where progress and friendship can be celebrated. The club has the ability to generate individual and community motivation by running culturally appropriate programs. AAC has a productive working partnership with Indigenous Community Volunteers which provides transparent, community-driven support. The membership model has the capacity to build pride and ownership through unique and proactive community involvement. During my visit I met many locals and their eagerness and intrigue for the club's foundation was widespread. I could clearly see how a community club will very comfortably fill the missing void so apparent in this remote Aboriginal community. This photo was taken during my second meeting with two of the board members of the AAC. We are viewing the membership kit and the rules of behaviour we had previously developed. We sat and discussed the wording and all the details then together we made appropriate alterations. I felt this experience was very positive for board members. This is on the evening of the first community meeting outside the clubrooms. More than 100 people attended, giving them the opportunity to hear about the club’s progress and have their say regarding the membership kit and rules. The meeting was followed up by a community cook up of sausages and delicious salads prepared by the store owners. Some visiting health care workers and community members helped with the serving up. I think this picture represents the diversity and the unity of this community as they relax after the meeting and cook up. At the end of my visit, I was blown away when I was presented with this beautiful gift from Justine.